A Bond and Beautiful evening tieing in with the 50th Anniversary of the 1st James Bond Movie. Come to support CHASE or just to have fun. See http://www.bondandbeautiful.com for details. See: CHASE statement, Irish Examiner, Letter, Irish Times, Speech by Jackie Keaney (Commercial Director MSW, at 9th National Waste Management Summit). 19 Oct 2012 - Indaver beat a last minute retreat from high court - Indaver have surrendered their High Court judicial review case which was listed to being on Tuesday 23rd October and scheduled to run for five days. Read more. See Irish Examiner. Indaver have surprised local residents with revelations that they are once again in ‘pre-application consultations’ with An Bord Pleanala for their Ringaskiddy site, contrary to assurances given by Indaver that whatever the final outcome of the 2008 application, the company would accept it as final. Read more. The case has been listed for hearing on October 23rd 2012. Five days have been allocated to the hearing. 09-11-11 - Today’s appointment of Laura Burke, former Project Manager with Indaver Ireland, as Director General of the Environmental Protection Agency (EPA) blasts the credibility of the EPA into oblivion, and exposes continuing government allegiance to developers and industry over and above environmental protection. 23-07-11 - Yesterdays announcement by Indaver Ireland that they are mounting a High Court challenge to An Bord Pleanala’s decision to refuse planning for their 2 incinerators at Ringaskiddy shows Indaver have no regard for good planning. 10-06-11 - An Bord Pleanala have today refused permission to Indaver Ireland to build hazardous and municipal waste incinerators at Ringaskiddy, Co Cork, plans for which were initially announced by Indaver in April 2001. The European Court Of Justice has rules against Ireland on foot of complaints filed By CHASE. The ruling poses a real problem for An Bord Pleanala in the Indaver Ringaskiddy incinerator case. On Monday 1st November, Frontline brought together community campaigners against incineraors and pylons and the companies involved. Click here to see programme. Click here to view and make comments. CHASE has submitted an official response to Indaver's revised application submitted in August 2010. Click here for submission. Click here and here for associated documents. Councillors at todays County Council Meeting (26 Oct 2010) passed a motion that Indaver Irelands revised plans do not meet any of the concerns expressed by the Council in their 2009 report to An Bord Pleanala on the applications. Requests to An Bord Pleanala to grant an extension to community groups opposing Indavers application to build two incinerators in Ringaskiddy have been refused, despite the fact that Indaver’s requests for extra time in April 2010 were facilited with over 3 months extension until August 3 2010, on top of an initial 3 month period. CHASE are disappointed at tactics used by Indaver Ireland who were asked by An Bord Pleanala to submit proposed mitigation measures in regard to coastal erosion and flooding at Ringaskiddy site. 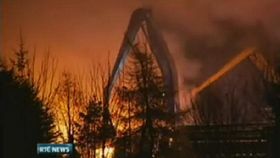 Instead, Indaver have sumitted a completely changed physical structure. 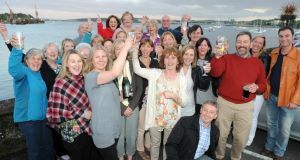 Burst Water Main Blocks Car Access to Haulbowline, necessitating the ferrying by truck of naval personnel to Haulbowline and leaving over 180 cars stranded on the road beside the proposed Indaver incinerator site. CHASE has today referred the granting of yet another extension by An Bord Pleanala to Indaver Ireland to the European Commission. Indications in a letter sent to Indaver by an Bord Pleanala are that permission will be refused for a 150,000 tonne Municipal Waste Incinerator in Ringaskiddy, but that they are considering the granting of permission for a 100,000 tonne Hazardous Waste Incinerator (for 5 years), pending submission of further information with regard to works to flooding, coastal erosion, and revised emissions. Several Units of the Firebrigade struggled for over an hour and a half to bring flames from an explosion at the Hammond Lane metalworks in Ringaskiddy under control this evening (22nd December). The Hammond Lane site is enclosed on three sides by the site on which Indaver Ireland plan to build hazardous and municipal waste incinerators. Read press release. See RTE video. See News stories. The proposed site for Indavers two incinerators in Ringaskiddy, Co Cork, falls foul of the statutory Flood Planning Guidelines issued yesterday (30 Nov 2009). Read more. See News relase and guidelines. The proposed site for the Ringaskiddy incinerator flooded once again with the heavy rains in November. Read more. Read letters to media. See Indymedia. The precautionary principle is an essential component for the future; we must be ultra cautious about placing infrastructure or housing in any areas with a flood history and be conscious that areas above the floodplain may become high risk in the future. Extract from article by Prof John Sweeney. Read more. Thur 18th June - After a five week Oral Hearing, An Bord Pleanala Inspector Oznur Yucel-Finn heard closing submissions from Community Representatives, Statutory Bodies, Indaver and CHASE. Read more. Wed 17th June - Maritime College Lecturer Says Incinerators Will Negatively Impact College - Department of Environment Recommends Bond to Cover Ecological Restoration In Case of Accident. Read more. Tue 16th June - Expert Estimates Incinerator Health Burden to Cost Community €150m, debunks Incinerator Efficiency, and Says Question Mark Hangs Over Bottom Ash Classification. Read more. Mon 15th June - Distances Claimed As Safe In Application Will Be Regarded By Emergency Response Agencies As Well Inside Danger Zone. Read more. Thur 11th June - Epidemiologist Says EIS Should Be Withdrawn Due to Plagiarism. Ireland Still Not Equipped To Monitor Human Health. Read more. Wed 10th June - CIT Students Union President Corrects Indaver And Hammers Home Objection. An Taisce claims the site location at Ringaskiddy as “wholly unsuitable”. Read more. Tue 9th June - Leading Toxico-Pathologist Says No Filtering on Incinerators for Unregulated Deadly Nanoparticles. Prof C Vyvyan challenges incinerator risk study. Read more. Mon 8th June - Oral Hearing resumes at Cork International Airport Hotel. CHASE Chairperson Says Incinerator Wrong On Every Level. David Stanton, TD, Outlines Government Policy Changes. Read more. Thurs 14th May - Hydrogeological Expert Says Site On Most Vulnerable Coast In Ireland - Coastal Erosion Will Eventually Undermine Incinerator Structure - Office Of Public Works Confirm Site Vulnerability. Read more. Wed 13th May - Cork Auctioneer says Incinerator development will effect property prices. Read more. Tue 12th May - Dutch Paediatrician Warns Of Dioxin Damage At Low Doses - Top UCC Professor Speaks Out for People of Cobh - Midwives Warn of Danger to Breast Fed Babies. Read more. 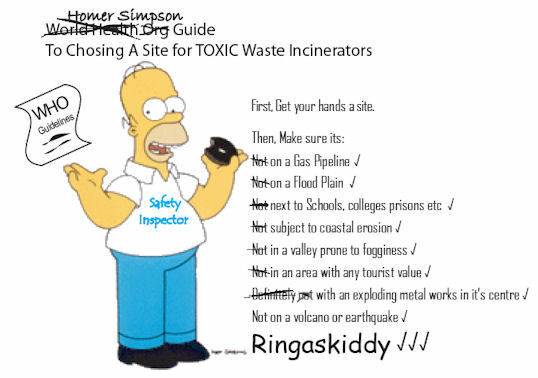 Mon 11th May - City and Council Engineers concur that there is no need for proposed incinerators at Ringaskiddy. Both Councils are on target to meet landfill diversion targets without recourse to incineration. Read more. 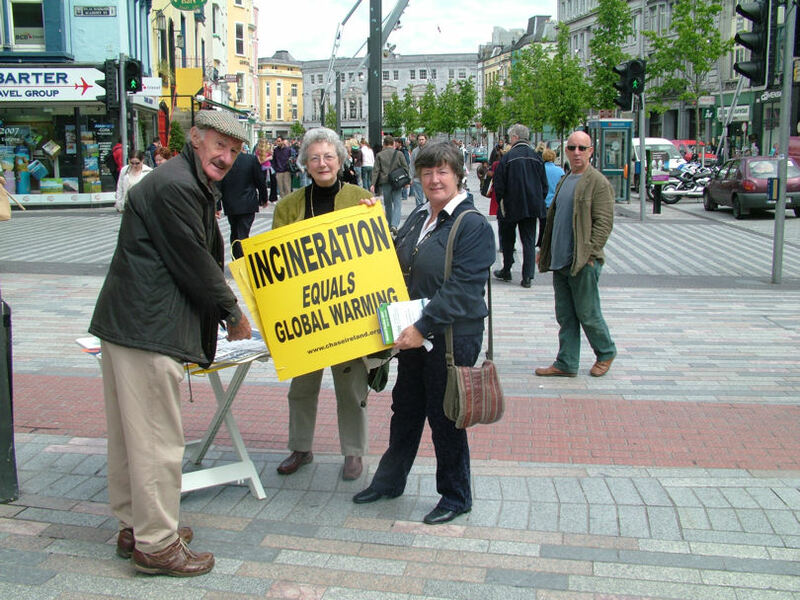 Does Ireland need to build incinerators? "The conclusion that Community waste legislation obliges or will oblige Member States to build incinerators is, however, incorrect, and appears to be a misinterpretation of the obligations to properly manage the Irish waste." - EU Commission Q&A. Read more. iNDAVER Ireland has lodged an application for TWO new incinerators in Cork Harbour - their original permission for ONE incinerator having recently expired. See CHASE submission to An Bord Pleanala re planning application. Also see call for submissions. Join the CHASE cause on Facebook! Click here.